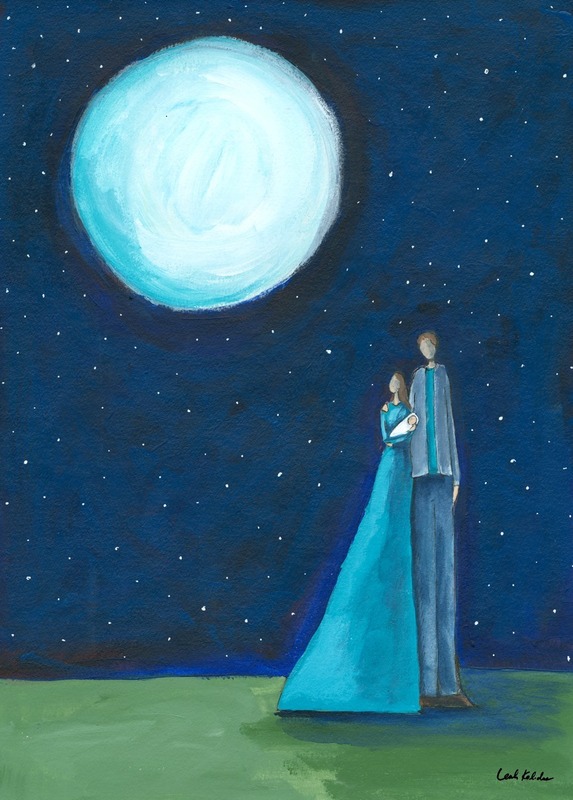 Introducing a new life to the Moon, this piece was inspired by friends with a new baby. Painted with acrylic and ink on watercolor paper. Original has sold, but prints are available. 7" x 5"11.25" x 8"23.75" x 17"